Handsome sophistication makes this bronze LED landscape path light a great accent for lawns and walkways. 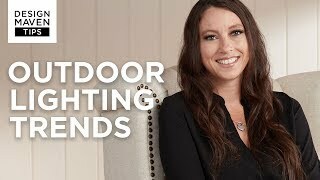 Durable bronze finish over die-cast aluminum base, this handsome three-tier landscape light is used to illuminate darkened or uneven walkways, or to add light to gardens or other landscaped areas. The long-life LED means no more time-consuming bulb changes. And, because it uses so little energy, you can have more lights on your transformer/system. 17 3/4" high x 6" wide overall. Light head only is 6 1/4" high. Stem is 4 3/4" high. Ground stake is 6 3/4" high. Built-in 4 watt LED. Comparable to a 35 watt incandescent bulb. 340 lumens, 3000K color temperature. Bronze, three-tier, pagoda style LED landscape light. From the John Timberland brand. Die-cast aluminum construction. Clear acrylic plastic diffuser. 43-degree beam spread on each side, 129-degree beam spread for the bottom. Matches the design of my other outdoor lights. The need for surrounding light on walk ways is always needed. This is a good upgrade from the older versions w/o LED. 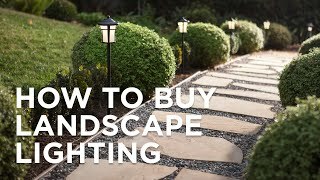 Replace my existing landscap lighting. Replace existing lamp Failed after only 2 years? I have been shopping for pathway lights to replace the ones that I have now. I have looked in town and on line and found these to be of good quality at a reasonable price. Already have similar lights. Expanding there use to front of home. To match our existing fixtures that we purchased form Lamps Plus 2 years ago. We have enjoyed them very much. Thanks! What kind of transformer and wiring is needed to connect these, and how easy is it to set up? BEST ANSWER: The size of the transformer depends upon how many lights you have on that particular circuit. I currently have three circuits with a max of seven lights on each. My transformers are 12VAC 45 watt capacity. You will need standard 12-2 underground landscape wiring. The connections are such that they need to be hardwired or spliced into the wiring. The lights do not come with pressure fitting connections so a roll or two of electrical tape will be needed. It was not all that difficult to install. 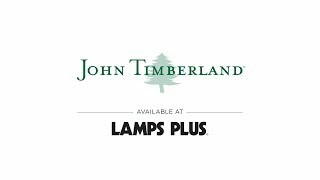 The lights are very nice and the customer service was very good. I had one light become faulty after nearly a year and the light was replaced free of charge. Can this be attached to concrete? BEST ANSWER: This includes a mounting stake and not designed to be mounted to concrete. Dan, thanks for the reply to my question. Does the lamp part screw onto the post? Perhaps you could give me a website to find a mounting post that would screw into the lamp part? Thanks again for your response. Per the manufacturer, the stem shown attached to the bottom of the light screws in and is removable. 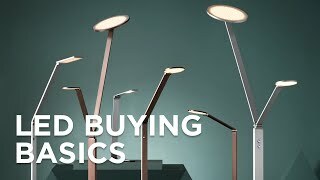 Can you purchase the lights without the transformer and wire? BEST ANSWER: Yes, this is the single light option without the transformer and wire. Do you have the pagoda,low electricity, in black or charcoal gray? I prefer the metal post. BEST ANSWER: Hi - I have added the black finish option below. These are the ones I have. I purchased 8 and they are still excellent years later! Do you have any pathway lights LED 10 watt installed? How many comes in a box? BEST ANSWER: Hi - You can purchase them in singles or as a complete set with transformer and wire. Must these be wired to electric? BEST ANSWER: Yes - they run on electricity...simply attach anywhere on the low voltage chord connected to the timer box. 2 years later the fixtures look great & operating perfectly! Globe only for Style # 2C488? BEST ANSWER: Hi, unfortunately, the manufacture does not offer replacement glass globes for this light. How many lights come in a set? BEST ANSWER: I have added the set options below. Can you purchase qty. of 6 at 29.95 each? We need 10 lights. Therefore, it would require a larger transformer than 45 watts. Do you offer a different kit for such? BEST ANSWER: I have added the next transformer up below which will provide you with more than enough room to expand if needed. This is not available in a kit. What guage is the connection wiring? We would prefer 12 guage. BEST ANSWER: There are no choices of wire gauge leads from the lamp, but the you do have the choice of wire gauge for the main landscape wire (sold separately). We do offer 16 gauge which I have added below. I need to mount these on the top of a brick wall. I have surface mounts w/ a ½ inch diameter opening. What is the diameter of the posts and how long are they? “Total height is 17 3/4" high. Light head is 6 1/4" high. Steam is 4 3/4" high. No mention of post diameter, which I think is 1”. I’d call cs agents and ask them. I too have to replace an older version of walkway light mounted on the cement walkway. So soundl like I will need the kit and one or two of the 4 packs. How do I determine what I need to replace the mounts? BEST ANSWER: Hi, the stake is constructed of metal. Thank you Juan. I was hoping for this answer. The stake was metal, and the fixture(s) still look great & operating perfectly 1.5 years later! The stake is a metal. Overall great product, easy to install and looks great. Our lamp had a plastic cover inside that covered bulb. It has disintegrated. Any one know of a replacement sleeve? Can you substitute green LED lights in lieu of white on this product? BEST ANSWER: Hi - no, not really, as the LEDs used in this design are built-in. Don’t think so. LED lights built in & can’t be removed. Can clear acrylic diffuser be color tinted to green? BEST ANSWER: The diffuser can be tinted green. How long is the attachment wire from the light fixture? How bright is 35 watt bulb?? BEST ANSWER: A 35 watt incandescent bulb equals to 340 lumens. This particular light is 4 watts LED which is equivalent to 35 watt incandescent. BEST ANSWER: The light operates off of 12V AC and it includes two gel waterproof wire nuts. Is the diffuser globe glass or plastic? BEST ANSWER: it is glass. There is NO plastic in any of the upper part. replacement bulbs for the led low voltage pagoda lights, are they available? can you buy the plastic insert in three tier pagoda outdoor light ? BEST ANSWER: The 3-tier top is not a match for the older models. Also you may want to get the voltage specs, we needed an electrician to 're-wire' the socket to fit a small regular bulb and not the LED(?) socket it came with. I have no plastic insert in mine. I have a glass insert and you cannot get replacement for them, you have to replace entire light I was told. Sorry, I never had to replace one. This is a question for Lamps Plus. Is the post removable from the light head? BEST ANSWER: Yes, the light comes separate from the post and has to be assembled. It's very quick and simple. Yes, it screws into the base of the light head. It's very well built lamp and it's a glass globe not plastic. Well worth the money. Customer service top not professionals. Delivery on time as schedule, in perfect condition. need to do more quality control on this product. The pipe thread is not for US inch system, it is Metric system. The bolt/not also is not US inch system, it is metric system. The pipe thread and bolt/nut thread working quality is not good, I ordered 10 pieces, 2 of that can't be tight because thread hole too big. I also found one LED light only good for one week, then no more light on. Fuji Wu. Hello Fuji W., we apologize and we will have our quality assurance team take a look. Please contact our customer service team for assistance and/or check the installation to make sure the fixtures are connected correctly and that the correct transformer is being used. Thank you! Easy to install and they look great! The lights are well made, very sturdy. However, they do not put off as much light as I had hoped for. It lights the outline of the path but it is still more dark than I had hoped. Hi Mike P., sorry to hear that you had some trouble with installing these path lights. Our customer service team is working to make sure that this is made right for you, so please reach out via phone, email, or chat if you have any questions or concerns. Thank you.